Amazon relies on the U.S. Postal Service for about 40 percent of its package deliveries. In October, Trump nominated three candidates who still await Senate confirmation. The board needs at least four new members to have a quorum for meetings, which prompted concerns from a bipartisan group of senators late last year. "Without a quorum, the Postal Service cannot make key operational decisions or provide accountability for operational deficiencies, such as intentional mail delays, drug trafficking through the Postal Service's network, and dramatically falling mail volumes and revenue," according to a November letter to President Trump from the Senate Committee on Homeland Security and Governmental Affairs. The White House has not responded to NPR's request for comment. The USPS Board of Governors operates similarly to a corporate board of directors. It acts as a critical body charged with the big thinking and strategic planning, which includes setting long-term goals, controlling expenses, writing policies and deciding how to invest in the Postal Service of the future. With no governors, the board is operating in a "temporary emergency" status, with its powers delegated to the postmaster general and her deputy. Just as the USPS has found itself at the heart of Americans' massive shift to online shopping and high expectations of fast delivery, the post office's board lost its quorum at the end of 2014 — and lost its final appointed governor in December 2016. The Senate had previously blocked several candidates nominated by President Barack Obama. The Washington Post has reported that Sen. Bernie Sanders has blocked several nominees in the past, "because he believes they would slash jobs and outsource one of America's oldest institutions to private companies." Over the past several days, Trump has gone after Amazon's deal with the U.S. 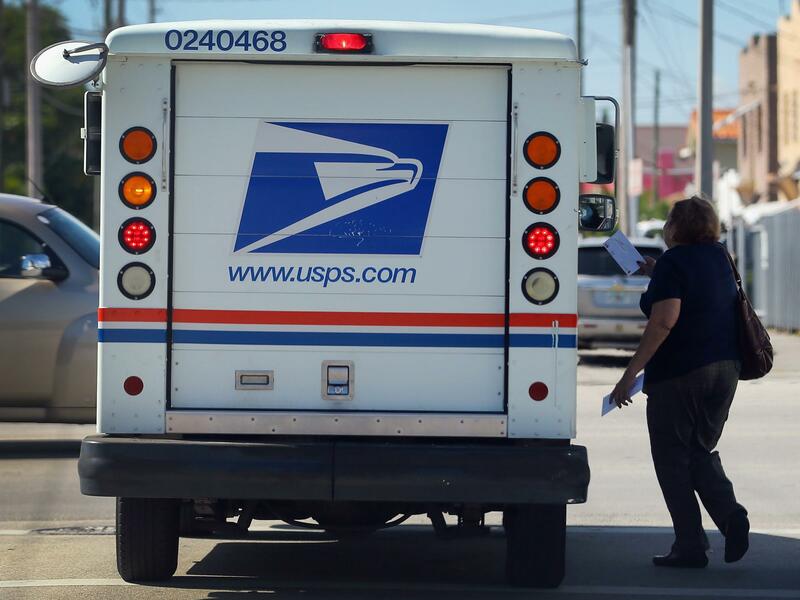 Postal Service largely over the rates the retail giant pays for delivery. Amazon relies on the Postal Service for about 40 percent of its package deliveries. United Parcel Service and FedEx also use USPS for some deliveries. Amazon is known to process its own packages and rely on the USPS only for the so-called last mile delivery, to the shoppers' doors. Trump has tweeted that the USPS "will lose $1.50 on average for each package it delivers for Amazon." The number is a reference to a Citigroup research note, which suggested the USPS could raise its average package delivery rate by that amount to fully cover all its costs, including pensions. "That's not a number specific to any individual customer, it's a broad number general to their business," said Chris Wetherbee, a senior transportation analyst who wrote the research note. Amazon and the USPS haven't disclosed the rates involved in their deal, but by law, the Postal Service's package-delivery contracts must be profitable, making enough money to cover all the associated costs. The contract with Amazon is reviewed by the Postal Regulatory Commission every year. Wetherbee says parcel delivery is the fastest-growing part of the Postal Service's business. And while package deliveries offset a lot of the costs, he says the rates generally aren't enough to cover all of the expenses across the entire Postal Service. "They do make money; there's revenue associated with their business — what they're not taking care of is the retiree benefits," he says. "When they don't make the pension payments ... that's when you get the big splashy losses." The USPS is mandated by law to pre-fund future retirement benefits for thousands of current employees, which costs about $5.5 billion a year. For years, the Postal Service has been unable to cover its expenses. Amazon's shares have been slammed by Trump's tweets. He has criticized Amazon as not paying enough taxes and also accused The Washington Post — an independent news organization owned by Amazon CEO Jeff Bezos— of being "used as a 'lobbyist.' "